Everything bar the facade has been demolished, and new flats were constructed behind that. 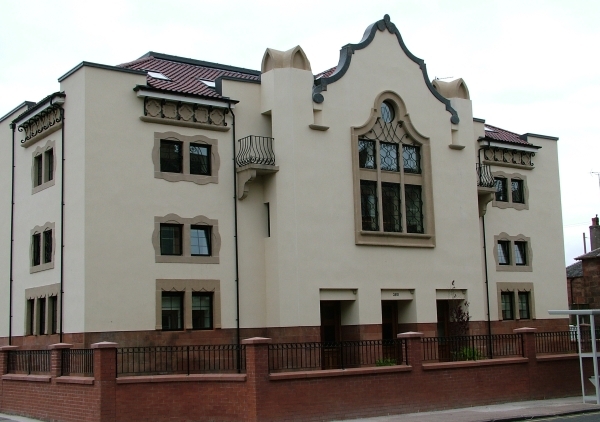 Additional windows have been added to the frontage. The entrance foyer to the flats feature reproductions of some of the decorative features rescued from the auditorium, and a couple of tiles and light-fittings. Some of the original atmospheric internal decoration survived on the side walls of the auditorium (see here - but will be slow loading due to lots of images). Many of the original fittings - doors, windows, lights etc. were still in place at the time of closure. 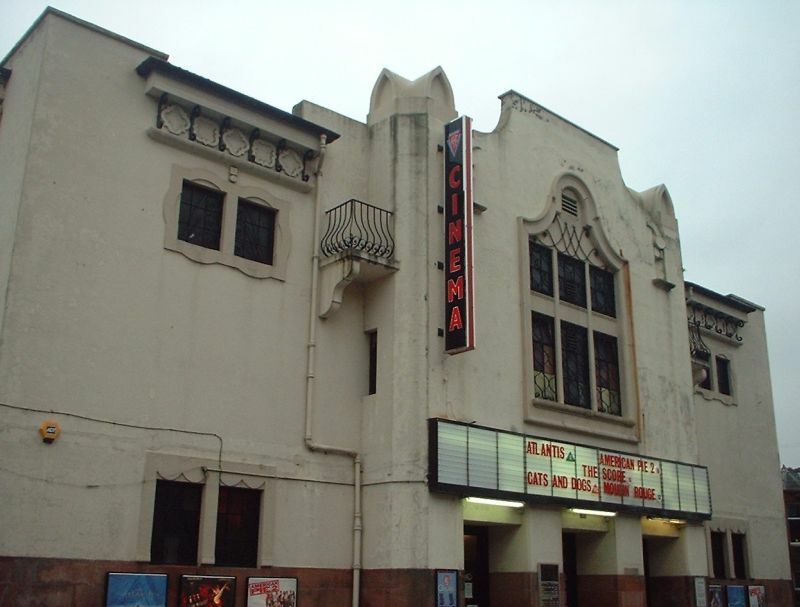 Originally (1933) seating 1598, the auditorium tripled in 1982; new Cinema 1 comprised the original circle area with a new screen - 482 seats, Cinema 2 - 208 seats in old front stalls, using original proscenium opening, and Cinema 3 - 90 seats in rear stalls. Image courtesy dusashenka Architect was William Beresford Inglis - who also built other cinemas, as well as the very cinema-like Beresford Hotel, now the Beresford Flats. For a gallery of photos taken before, during and after demolition, click here. For a gallery of photos taken during stripping out after closure, click here. Latest photo of the exterior (Dec. 2004) - the rebuilt pediment and refaced facade is visible behind scaffolding here. 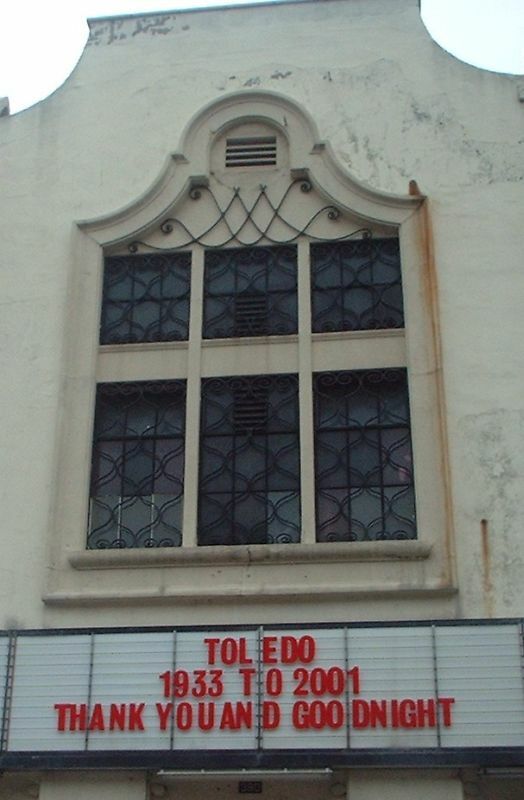 Click here for interior pictures of the Toledo, taken just before closure (slow loading).